Like me, I believe that many moms struggle with trying to find foods that are healthy but also delicious for their children. That’s why I’m so glad to share homegrown Banán Hawaii, a company that was founded by four local young men with the simple idea of turning fresh fruit into all-natural, vitamin-rich soft serve. It’s a delicious, rewarding treat for the whole family, but 100 percent guilt-free. The soft-serve has all the texture of a sorbet or ice cream, with none of the bad stuff such as added fat or sugar. 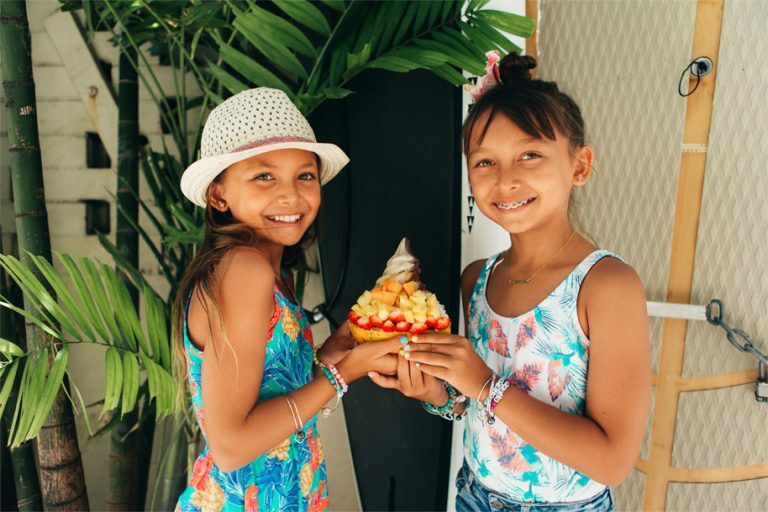 My girls love the original all-banana soft-serve, as well as the acai version. As a parent, I feel we are responsible for what our children grow to like and eat. My girls have been pretty good with eating healthfully; one more than the other. But they do understand the importance of choosing healthy foods and the consequences of eating too much sugar and carb-rich, processed foods. While helping me teach them about nutrition at an early age, Banán has also helped me start the conversation about sustainability. In support of local farms, their ingredients—ranging from bananas to lilikoi, to chocolate—are sourced from 11 Hawaii farms . 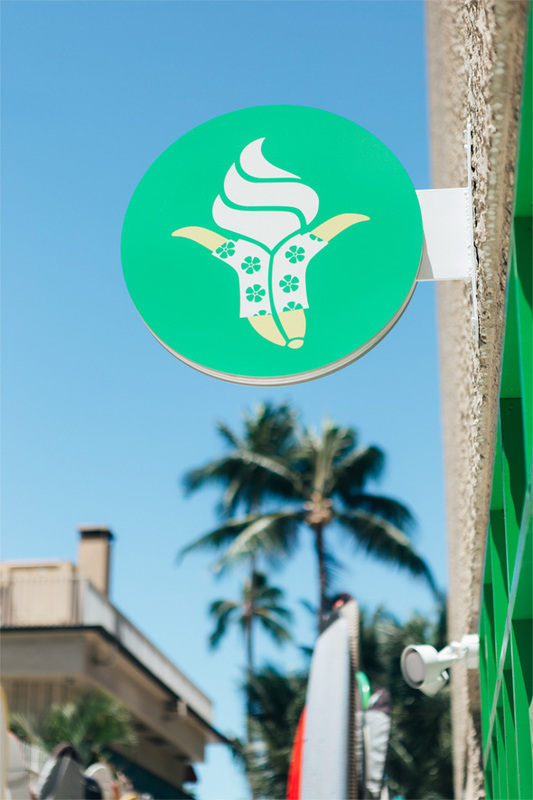 Banán has four locations, and our family favorite is the Waikiki Beach Shack at 2301 Kalakaua Ave., next to the surfboard lockers at the Diamond Head end of Royal Hawaiian Center. The sunny beach setting and cool Banán Bowl are a perfect combination. 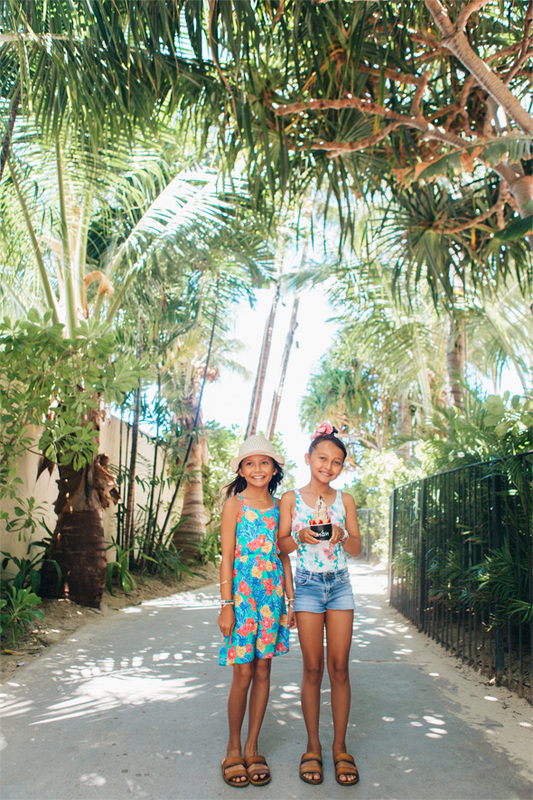 Melia and Kiele enjoyed the Riss More, Acai-Banana Banán with all the works including strawberries, pineapples and granola in a papaya bowl. Look out for the cute, Banán man here in Waikiki, located in the beach access between The Cheesecake Factory and the Outrigger Waikiki Beach Resort. 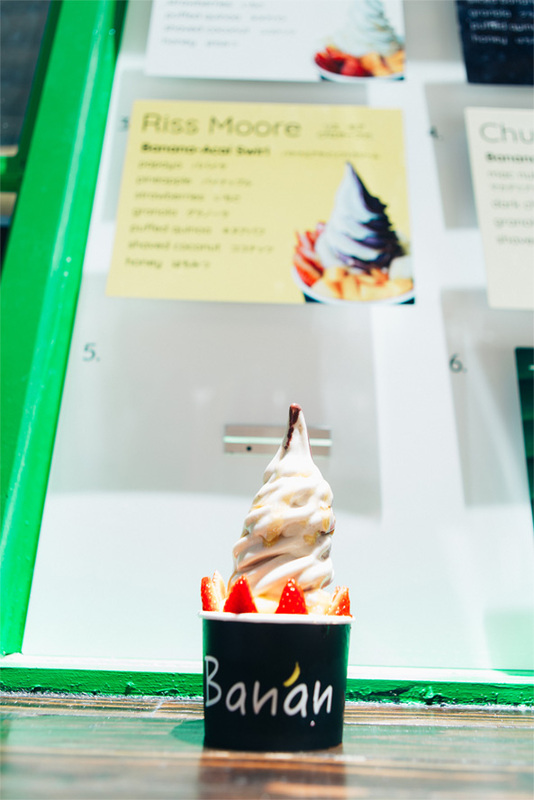 Come + enjoy Banán Bowl in Waikiki for a cool treat by the beach.